No one should have to live through a house fire, but it is a good idea to be prepared in the unlikely event that it happens. Smoke detectors are a great first start to protecting your home and the people in it, but there is more that can be done to be safe. Not everyone knows that a closed door can make a huge difference in the damage done to a room. Firefighter Joel Sellinger saw the major differences between two rooms in the same home and came up with LifeDoor to help save lives. Joel responded to a fire, only to discover that the elderly occupant had died because of smoke inhalation. The room she had been in had an open door and sustained severe damage. The room next to hers, however, had a closed door and nearly no damage. It was then that he decided that he needed to find a way to make this scenario a thing of the past. LifeDoor is a seemingly simple device but provides huge value. This small box simply attaches to your door by replacing the top hinge pin. Once installed, you calibrate it by opening and closing the door just once. Once it knows what the door looks like closed, it is ready to go. 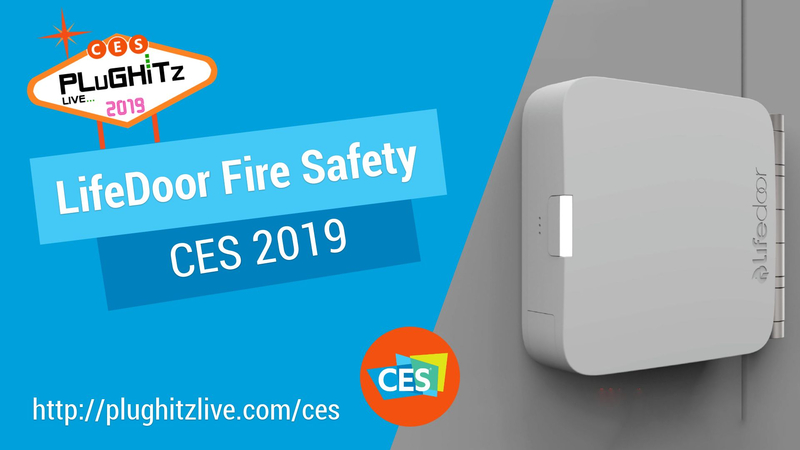 It doesn't need to connect to a network, or have you replace smoke detectors across your home. Instead, LifeDoor listens for the sound of an existing smoke detector and automatically closes the door, protecting the people in the room. In addition to closing the door. LifeDoor also repeats the smoke alarm noise, helping the person or people in the room to know there is a danger. It also has a built-in light that illuminates the room to help you get out safely. The LifeDoor will be available soon for pre-order through a crowdfunding campaign.